The importance of the Safavid period (1501–1736) in Iranian history has been increasingly recognised. Iran Under the Safavids aims at providing the student and general reader, in non-technical language, with a comprehensive history of the Safavid dynasty. Professor Savory considers the origins of the Safavid family, the course of the revolutionary movement which brought it to power and the problems facing Shāh Ismā'il I after the establishment of the Safavid state in 1501. He describes the development of a multi-racial society in Iran during the sixteenth century, the policies of Shāh 'Abbās I which brought the Safavid state to the height of its power and prosperity, and the reasons for its decline during the latter part of the seventeenth century and its eventual fall. 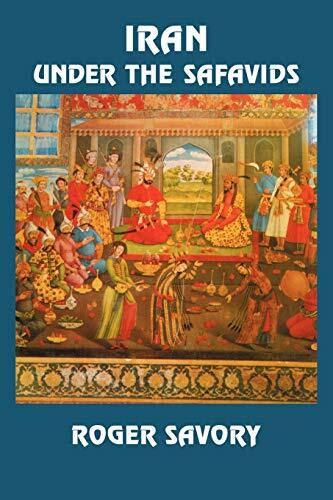 As well as covering the political history of the period, the book includes chapters on the economic and social structure of the state, on intellectual and artistic life under the Safavids and on relations with Europe. Iran Under the Safavids aims at providing the student and general reader, in non-technical language, with a comprehensive history of the Safavid dynasty. Professor Savory considers the origins of the Safavid family, the course of the revolutionary movement which brought it to power and the problems facing Shāh Ismā'il I after the establishment of the Safavid state in 1501.